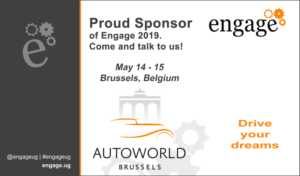 The Engage team has announced their upcoming event and we are Gold sponsor ! TOP speakers from all over the world! As keynote speaker you can expect top of the bill to announce the progress of the collaboration products. Darren Oberst, Executive VP at HCL Products and Platforms. We will be presenting GroupWave Webinizer 3.0 and the revamped output when you webify a Domino app.